The five host families including Helen and Chris Barrott, Stacy and Will Conroy, Nikki and Paul Pagano, Sarah and Augie Ribeiro, and Elizabeth and David Samuelson challenged other families within the community to match and exceed $30,000 personal gifts and pledges to support Shorecrest’s efforts to build the new Innovation Center and Community Commons. The challenge was accepted by 30 families. The evening was also an opportunity to pay tribute to the campaign’s early leadership donors who provided financial support of leadership level donations to the Transform Campaign. Shorecrest publicly announced the Transform Campaign in March 2018. Now, the campaign’s success marks a pivotal moment for Shorecrest, bringing the school closer to completing its campus master plan with facilities that match the quality of teaching and learning for which Shorecrest is known. "Shorecrest has been more than just a phenomenal educational opportunity for our children. Over the past 15 years the Shorecrest community has become a family to us,” Elizabeth Samuelson, Immediate Past Board Chair and another of the host families said. “Shorecrest is in the middle of its largest fundraising campaign and with the recent momentum from our extremely generous donors we are rounding the bases toward home. We need to continue to dig deep and come together to reach our campaign goal. Contributing to this campaign will make a huge difference to our school, our community and most importantly our children." In December, Shorecrest announced it had received an anonymous $2 million gift to the Transform Campaign. The gift is the single largest in the school's 95+ year history. To date, the Transform Campaign has raised $9.9 million toward its $16 million goal. 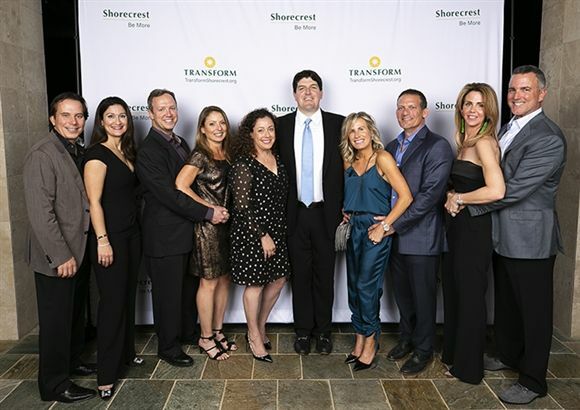 In March 2018, Shorecrest launched Transform, the school's most ambitious capital campaign to date. Transform will fully foster community at Shorecrest with its first-ever Dining Hall, a new Experiential School, Library, Media and Innovation Centers all housed in a new 60,000 square foot facility. The project will also create over an acre and a half of greenspace in the heart of campus. To learn more about Transform visit www.TransformShorecrest.org.